My column criticizing a blogger for criticizing Paul Krugman for wanting to inform readers about Gary Johnson’s views. 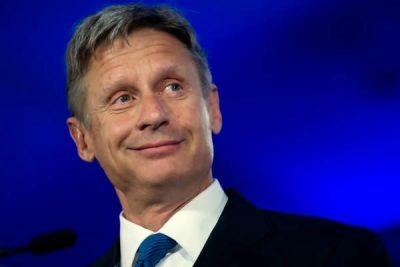 Recently my attention was called to a blog post on the conservative reason.com website titled, “Almost Everything Paul Krugman Says in This Awful Column About Gary Johnson Is Wrong,” by Robby Soave. Upon reading it, I have to say that almost everything Robby Soave says in this awful column about Paul Krugman being wrong about Gary Johnson is, well, wrong. Mr Soave’s main arguments seem to be that first, of course, Paul Krugman is nothing but a snobbish Democratic tool and always has been; and further, that Krugman’s “awful column” shows he just doesn’t understand Johnson voters. He says that Krugman assumes that voters are lacking in information about Johnson, and can’t seem to fathom that Johnson’s backers actually like and support all his views. But Soave assures us that none of this matters anyway, because no one’s vote really matters: “an individual voter has effectively zero chance of influencing the outcome of a national election.” Oh, well, then, there you have it. We can save a lot of time and effort, let’s just shut down the whole thing until Election Day, why bother? If the author believes that, then why is he concerned that Krugman is concerned? Anyway, as I said, almost everything Robby Soave says in this awful column is wrong. For example, he says “Johnson doesn’t want to ‘dismantle’ Social Security and Medicare… he wants to reform these programs,” and that Krugman is wrong for saying otherwise. However, Johnson does want to privatize the programs, that’s his “reform.” And that is dismantling a public system. Privatization is a plague on our country, as far as I’m concerned, and that is my main beef with Libertarians. Some things should be in the public sphere. But Libertarians want to privatize everything. They’re basically Republicans except for a few social issues. But I digress. Another false assumption Soave makes is that because Johnson is pulling more voters from Trump, Krugman shouldn’t be concerned. Yet even if Johnson were pulling less than half of his voters from Clinton, a notion polls contradict, that’s still a sizable segment of voters you’d want to reach with your message. In fact, an Economist/YouGov poll released in early September showed 11 percent of Democrats and independents who supported Bernie Sanders during the primary election were now backing Johnson. Could it be that these are the people Krugman is trying to reach? Is that okay with Mr Soave, I wonder? Well, I’m here to tell you, people are ill-informed, more than ever it seems. Yes, that’s my opinion, but there are surveys out there that back me up. And I’m not even including the mis-informed — there are enough of them as well, though I’m sure they would retort that I am the misinformed one. The ill-informed, on the other hand, just want to “go with their gut,” and may decide to vote for the guy they’d like to drink a beer with, or the one who’s the most unpredictable, or the most different, or whatever. Yes, a “huuuge number — believe me! –” of people could care less about the issues, they vote on image and entertainment value. It’s these people, lazy as they may seem to be about voting presently, who just might change their minds, if they knew better. So I’m glad writers like Krugman are trying to pull the veil away and convince people to get serious about this voting business. Krugman has had a consistent view forever, and yes, it’s a liberal point of view, so, naturally he’s going to endorse those candidates that most agree with him. Just like the other side does.